^ Takashi Inoguchi. 1945: Post-Second World War Japan. (编) Benjamin Isakhan; Stephen Stockwell. The Edinburgh Companion to the History of Democracy. Edinburgh University Press. 2012: 308. ISBN 978-0-7486-4075-1. 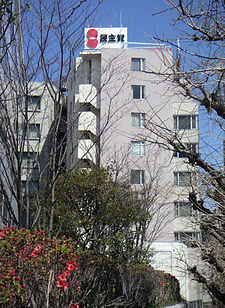 The Democratic Party of Japan is a centre-left party, but it contains a sizeable union-based left wing and some members close to the extreme right. ^ Miranda Schreurs. Japan. (编) Jeffrey Kopstein; Mark Lichbach; Stephen E. Hanson. Comparative Politics: Interests, Identities, and Institutions in a Changing Global Order. Cambridge University Press. 2014: 192. ISBN 978-1-139-99138-4. ^ 鹰派"大佬"执掌日最大反对党 誓言推翻自民党政权. 新華網. 2006-04-08 [2011-03-09] （中文（中国大陆）‎）.